Coordinator, Project Supervisor and Data Management Assistant jobs. 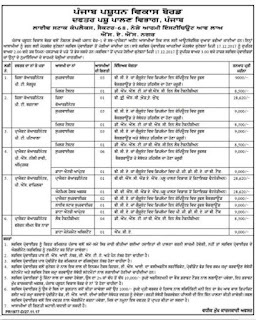 There are total 31 vacancies in this Punjab Animal Husbandry Dept jobs recruitment. Interested candidates may send their application in a prescribed format along with all supporting documents to be reachable on or before 17-12-2017 to Punjab Pashudhan Vikas Board. Candidates will be selected through written test or interview. More details related Punjab Animal Husbandry Supervisor vacancies are given below. There are total 31 vacancies in this recruitment of Pashudhan Vikas Board Punjab. Post Name, Number of posts and monthly salary details are given below. Age limits are applicable as per the Punjab state government norms. Candidates will be selected through merit in educational qualifications, written test and/or interview. Based on received applications either interview or written test will be conducted. 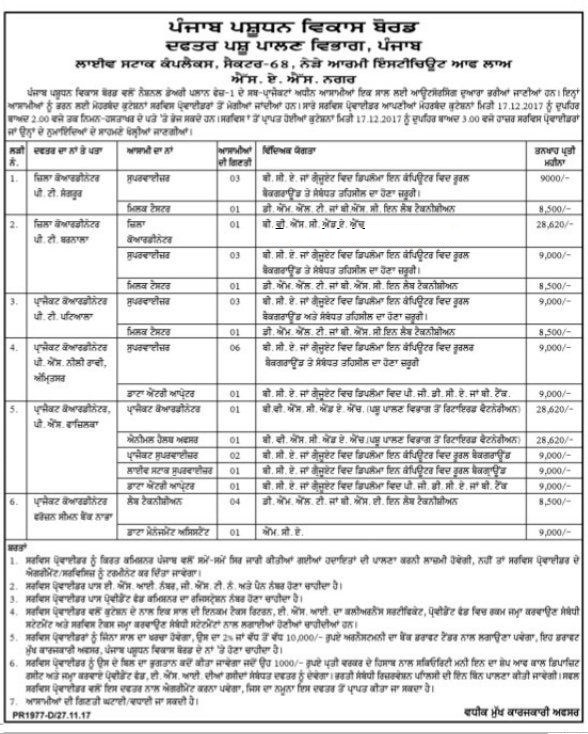 Interested candidates may apply in a prescribed format for this Punjab Animal Husbandry jobs on or before 17-12-2017. Along with application form attach the all required documents, such as qualifications, experience if any, caste certificate, ID and Address proof , Date of birth certificate and other related documents. Punjab Pashudhan Development (Vikas) Board, Live Stock Complex, Sector-68, Near Army Institute of Law (AIL), SAS Nagar (Mohali).